Kepler Trust Intelligence offers up-to-date investment strategy research, fund analysis and useful guides for private investors, all written in-house by Kepler's experienced analysts. Our aim is to build a library of information on investment trusts that can help you make allocation decisions. Investment strategy articles articles assess opportunities and developments across sectors, industries or geographies, which should be considered by you - positive or negative. Fund research focuses on individual trusts, examining them in detail to create a snapshot picture which you can use to decide whether or not you want to invest in them. Educational output is split into simple guides, designed to help beginners understand how investment trusts work, and more complex guides to sectors, regions and strategies which may be of interest to investors. Our focus is on quality, not quantity, so we are unlikely to publish more than four or five articles in a given week. For this reason we recommend that you join our mailing list, and we'll send you an email once a week alerting you to what’s new on the site. We won’t sell your details, and we won’t spam you with useless updates. Kepler Trust Intelligence is made available freely to any person (professional or private individual) who wants to access it. 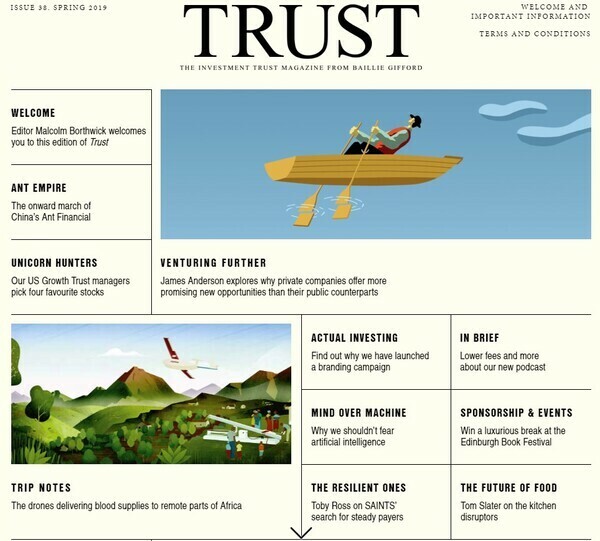 We clearly disclose all of our relationships, but our research is either paid for directly by specific trusts and their boards, or more generally by the larger asset management groups who pay to have adverts and advertorial. As a result, all of our research should be considered “non-independent” and readers should consider it as marketing. William Heathcoat Amory is a co-founding partner of Kepler Partners LLP and leads the Kepler investment trust research team. William has 18 years of experience as an investment company analyst. Prior to co-founding Kepler Partners in 2008, he was part of the Extel number 1 rated research team at JPMorgan Cazenove. Pascal is marketing and communications director at Kepler Partners LLP. He runs Kepler Trust Intelligence as a product, having joined Kepler to launch it in 2015. Prior to joining the Kepler team, Pascal managed FE Trustnet, one of the UK's largest investment research websites, for ten years. Pascal started his career sixteen years ago as a financial journalist, and has written extensively about investment trusts and other investments for the trade and national press. William joined Kepler Partners in February 2018 as an investment trust analyst. Prior to joining, William graduated from the University of Western Australia, with a BSc in Psychology. He has also spent time at Standard Life Aberdeen, Schroders and Winterflood Securities. Thomas is an investment trust analyst and joined Kepler in April 2018. Previously he was senior analyst at FE Invest, where he was responsible for fund selection for a range of model portfolios. He covered all asset classes over time, but has particular experience with emerging markets and fixed income as well as UK smaller companies funds. He has a degree in Philosophy from Warwick University and is a CFA charterholder. Alice joined Kepler Partners in July 2018 as marketing manager, working to build Kepler Trust Intelligence's communications with investors. She was previously Head of Content at financial services communications specialist KL Communications, after working in investment communications for Hermes Investment Management. Alice began her career as an asset management correspondent at trade publication Investment Week, where she was responsible for the investment trust beat. While we hope that you find the research we publish useful, and we believe it will help you to make a more informed decision, but we must of course stress that none of the research published here constitutes a recommendation, or advice, and you should not think that – just because we’ve published a report on a trust – we believe that trust is a ‘buy’. Please read our terms and conditions. The reports on this website have been issued by Kepler Partners LLP solely for information purposes only and the views contained in it must not be construed as investment or tax advice or a recommendation to buy, sell or take any action in relation to any investment. If you are unclear about any of the information on this website or its suitability for you, please contact your financial or tax adviser, or an independent financial or tax adviser before making any investment or financial decisions. Our reports are marketing documents, should be considered non-independent research and are subject to the rules in COBS 12.3 relating to such research. Our research has not been prepared in accordance with legal requirements designed to promote the independence of investment research. The material is provided to professional intermediaries who advise Retail Clients – Kepler Partners LLP does not make recommendations to, or provide research directly for, Retail Clients.